For a second year in a row, the Global Entrepreneurship Monitor Bulgaria presented its Annual entrepreneurship awards to people, teams or organisations which positively impacts the entrepreneurial ecosystem in the country. “GEM Bulgaria was provoked to establish its Annual entrepreneurship awards by an identified need, arising in our annual report – the lack of enough good examples”, shared Mira Krusteff, vice-chairman of GEM Bulgaria. “The change would not happen in a couple of days, the media play an important role, however, each person is a media – each one of us is responsible to be a good role model, to share good examples, so they can become contagious”. Video from the awards ceremony can be found on GEM Bulgaria Facebook page. 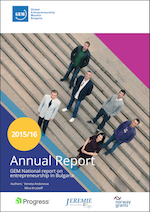 The latest GEM Bulgaria annual report on entrepreneurship 2016/17 can be downloaded here. GEM Bulgaria organised its second annual conference for entrepreneurship in cooperation with Capital newspaper. The event took place in Sofia at the House of Europe on October 20th. The conference gathered entrepreneurs, state and municipality administration representatives, investors, non-government organisations, academic and financial institutions, embassies, funds and media. The participants discussed entrepreneurship-relevant topics and gained an insight about the factors that hinder or support the development of the entrepreneurship ecosystem. During the conference prof. Veneta Andonova and Mira Krusteff presented the new GEM National report on entrepreneurship in Bulgaria 2016/17. Georg Raab from DG Growth of the European commission delivered a presentation about funding opportunities through the instruments of the commission. Ylva Skoogberg from Swedish Entrepreneurship Forum and Public affairs consultant revealed why policies should be based on data evidence and how Sweden is applying good practices, based on the expertise of GEM Sweden in its work with the stakeholders. On a separate panel, moderated by Diana Nikolaeva from EY Bulgaria, representatives of successful Bulgarian start-ups from various sectors focused on strategies for sustainable growth and internationalisation. The event was closed by Iskren Krusteff, Chairman of GEM Bulgaria, and his speech on entrepreneurial values. The guests of the conference had a chance to learn about various novel good practices, applied worldwide. We followed at each step the path to positive change and provoked ideas, viable in practice and applicable in different areas and sectors. GEM Bulgaria annual conference was co-organised with Capital newspaper and with the institutional support of the European commission representation in Bulgaria. Partners of the event were EY Bulgaria and Superhosting. Video recording of the conference can be found on our Facebook page. 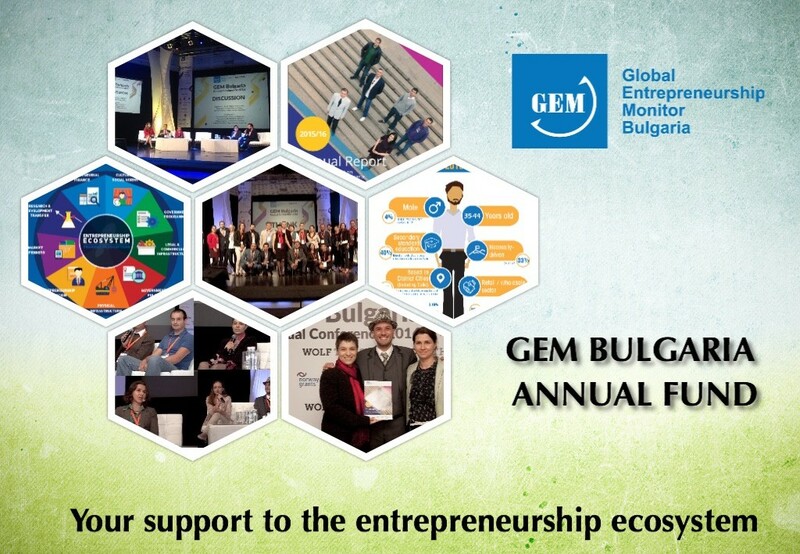 GEM Bulgaria Annual Fund brings together individuals, institutions and companies who want to make a difference to the Bulgarian entrepreneurship ecosystem and invest in the future of Bulgaria. See how you can support us! We would like to welcome our new team members Iskra Yovkova and Natanail Stefanov who have taken over the operational management of GEM Bulgaria as of December 2016. We are pleased that they decided to focus their energy and passion, knowledge and professional expertise in the advancement of the entrepreneurial ecosystem in Bulgaria. Due to some publications in the media with regards to the GEDI index on entrepreneurship, GEM Bulgaria would like to clarify the presented information and messages. 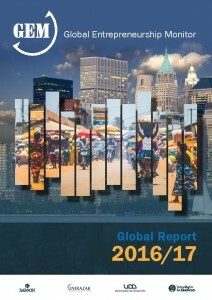 Bulgaria is at #82 place according to the global ranking of entrepreneurship 2017 by the GEDI methodology. It is very important to point out that it is not, in fact, a drop, but a baseline for our country according to GEDI, as the previous #46 place was based on averaged data from Romania and Montenegro from previous periods which GEDI has acknowledged this as well. GEM Bulgaria collected its own data collection in 2015, which combined with other information chosen by GEDI puts Bulgaria at #82 place. 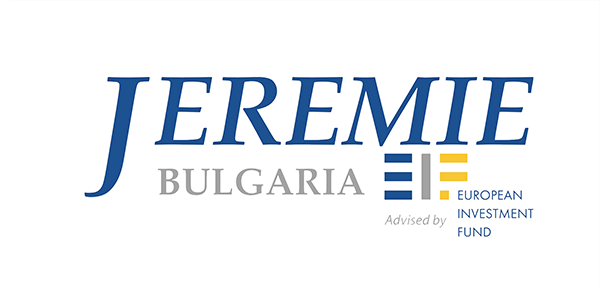 GEM Bulgaria produced its first GEM data in 2015, which was now combined with the other indicators chosen by the GEDI index to conclude #82 place. As the GEM Bulgaria 2015/16 report states, it is crucial to look at the full picture of the entrepreneurial ecosystem to get a full understanding of the environment and the entrepreneurial activity in a country. Who won the first GEM Bulgaria awards? 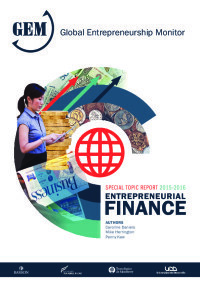 The global financial downturn has left entrepreneurs more reliant on their own funding while new sources of entrepreneurial finance such as crowdsourcing are also gaining in popularity, according to the Global Entrepreneurship Monitor 2015-2016 Special Report on Entrepreneurial Finance. The global financial crisis has left a lingering mark on entrepreneurship across the globe, with the majority of entrepreneurs (95%) relying on their own funding for start-up ventures.